The Cook County Bar Association is hosting a Supreme Court Candidate Symposium on January 5 from 6:00 to 7:30pm at the Loyola University Law School, 25 E. Pearson. A reception will precede the Symposium at 5:00pm. WGN-TV reporter and anchor Robert H. Jordan, Jr., PhD, will serve as moderator. Seating is limited and reservations are required. Contact the CCBA at(312) 630-1157 for further information. Hat tip: Nakita L. Perdue, In Court Bar and Programs Administrator of the CCBA. Judge Alfred M. Swanson,Jr., a candidate for the countywide Ward vacancy on the Cook County Circuit Court, was recently interviewed on Avy Meyers' North Town News Magazine. With Mr. Meyers' permission, the interview is posted below. NTNM airs on CAN TV, Chicago Cable Channel 19, on Thursday evenings and Friday afternoons; on ECTV 6 on the Evanston cable system on Tuesday and Thursday evenings; and on select suburban cable systems on Mondays. Check your local listings. Judge Patrick J. Sherlock, a candidate for the Gallagher vacancy on the First District of the Illinois Appellate Court, was recently interviewed on Avy Meyers' North Town News Magazine. With Mr. Meyers' permission, the interview is posted below. A fundraiser is planned for Circuit Court Judge Deborah Jean Gubin on Wednesday, January 11, from 6:00 to 8:00pm at Sidetrack, 3349 N. Halsted. Tickets for the event are priced at $25 for "Young Professionals" and $50 for "Friends." I've received no information concerning the age at which one is no longer deemed sufficiently "young" to qualify for the "Young Professional" rate. If you'd prefer not to deal with that question, you are invited to either "write or raise" $300 and be designated as a "Host." For further information about the fundraiser, contact Lauren Carter at lauren.v.carter1@gmail.com. State Representative Sara Feigenholtz and 44th Ward Ald. Tom Tunney are listed as Chairs of the event; Aimee Pine, Jerry Glover, Jon Erickson, Michael Bauer, Ginger Ostro, and Pat Deady are listed as hosts. Judge Gubin is a candidate for the Durkin Roy vacancy in Cook County's 8th Judicial Subcircuit. This is the seat she now holds pursuant to Illinois Supreme Court appointment. Updated 12/31/11 to reflect change of venue. Justice P. Scott Neville, Jr., a candidate for the Gallagher vacancy on the First District of the Illinois Appellate Court, was recently interviewed on Avy Meyers' North Town News Magazine. With Mr. Meyers' permission, the interview is posted below. Two sitting Circuit Court judges and an attorney employed by the Cook County Public Guardian's Officer filed today for the Cahill vacancy on the First District of the Appellate Court. Assistant Public Guardian Mary Brigid Hayes was the first to file this afternoon. Hayes has been an Illinois attorney since 1989. Next to file was Judge James Michael McGing. McGing was elected to the bench from the 10th Subcircuit in 2006. Last to file was Judge Laura Marie Sullivan. Judge Sullivan was elected to a countywide vacancy on the Circuit Court in 2002 and retained in 2008. No Republican filed for this opening. Pending challenges and withdrawals, Judge Sullivan will be listed last on the March 20 Democratic primary ballot for this vacancy. The lottery for the top ballot position will be between Judge Pamela E. Hill-Veal and Associate Judge Mathias W. Delort. A sixth candidate in the race is Judge Kay Marie Hanlon. New filing. Judge Kay Marie Hanlon filed for the Cahill vacancy on the Appellate Court last Thursday, becoming the third candidate in that race. Judge Hanlon presently sits in the Third Municipal District, in Rolling Meadows, where, according to Sullivan's Judicial Profiles, she presides over preliminary hearings in felony cases. Before becoming a judge, Hanlon served as an Assistant State's Attorney in Cook County for 12 years (1985-1997). After leaving the State's Attorney's Office, Hanlon headed up her own firm (from 1998-2004) until her election to the bench. From 1998-2000, according to Sullivan's Judicial Profiles, Hanlon also served as the manager of former State Representative Elizabeth Coulson's district office. I have so far been unable to find a campaign website for Judge Hanlon. The deadline for filing for the Cahill vacancy is tomorrow. New blog. I had an email from Wauconda attorney Timothy J. Storm who wrote to advise that he will be covering judicial races in Lake County, Illinois on his blog The Appealing Lawyer. Storm writes that there are three circuit court seats in Lake County up for election this year, all in subcircuits. There is a primary contest only in the "B" vacancy in the 3rd Subcircuit of the 19th Circuit, Storm says, where "current Associate Judge Thomas Schippers is up against attorney Todd Brian Projansky." Unlike Cook County, however, there will be general election contests for all three Lake County seats. And a reminder: A valuable resource for Illinois voters interested in any or all Illinois judicial races is the IllinoisJudges.net website. The IllinoisJudges.net site is maintained by the Illinois Civil Justice League and has information about all judicial races across the state (including Cook County), including links to candidate websites where available (and, sometimes, even links back to this blog). The winner of this race will face Republican Christine Cook in November 2012. The Illinois Supreme Court announced today that P. Scott Neville, who has been serving on the Appellate Court since 2004 pursuant to Supreme Court assignment, has now been appointed to the Cahill vacancy. Justice Neville is already a candidate for the Gallagher vacancy on the Appellate Court; he has been a Circuit Court Judge since 1999. Two judges filed for the Cahill vacancy today, the first day of the special judicial filing period. (The Cahill vacancy is the only Cook County judicial vacancy involved in this special filing period.) Associate Judge Mathias Delort filed as expected. Also filing was Circuit Court Judge Pamela Hill-Veal. Judge Hill-Veal was the candidate slated by the Democratic Party in 2010 for the O'Malley vacancy. She's running against the party this time; Judge Delort is the slated candidate in this race. FWIW has heard of as many as three other candidates who may still be circulating petitions for this race (the special filing period closes a week from tomorrow, December 27). Justice Neville's appointment to the Cahill vacancy created an opening to which a Circuit Court judge may be assigned, and the Supreme Court filled that vacancy immediately by assigning Circuit Court Judge Stuart E. Palmer to the Appellate Court. At the time of his assignment to the Appellate Court, Judge Stuart E. Palmer was serving in the Chancery Division. According to the press release issued today by the Supreme Court, Judge Palmer "was screened in 2009 by bar associations for a potential appointment to the Appellate Court and received high marks, including a 'well qualified' rating from the Chicago Council of Lawyers and highly qualified ratings from several other bar groups, including the Chicago Bar Association and the Illinois State Bar Association." Paul O. Otubusin folded his candidacy for the Stuttley vacancy in Cook County's 2nd Judicial Subcircuit, withdrawing from the race yesterday afternoon, according to the Illinois Board of Elections website. According to the ISBE, Peter Martin Kramer also withdrew from his bid for the countywide O'Brien vacancy on Friday afternoon, while James Patrick Doran withdrew from the race for the McSweeney Moore vacancy in the 3rd Subcircuit on Thursday. Per email received, a fundraiser will be held to support the 11th Subcircuit judicial campaign of Pamela McLean Meyerson on December 27, starting at 6:30pm, at FitzGerald's 6615 W. Roosevelt in Berwyn. Admission is $25 for adults and $5 for students -- but Sponsorships are available at $100, $250 and $500. The focus of this post, therefore, is on lottery results in subcircuit races with three or more candidates. There are a lot of crowded races in the subcircuits -- but not all of them were concerned with the lottery drawing yesterday. In the 3rd Subcircuit (McSweeney Moore vacancy), for example, although there are presently five candidadtes, Judge Thomas J. Carroll was assured the top ballot position because he was the only candidate for that race when the doors at the Illinois State Board of Elections opened on the first day of candidate filing. So the list of multi-candidate races that follows is not exhaustive; it only addresses instances where the lottery drawing concerned two or more of the contenders. Note: In this race, only Boyd and Harvey were in the lottery drawing. In this race, all of the Democratic primary candidates were in the lottery. In this race only Bailey and Swanson were in the lottery. Santiago, Ferrante, Ahern and Claudio were all in the ballot lottery in this race. Stewart, Gamrath and Shapiro were each in the lottery for the top spot in this race. In this race, all of the candidates except Levin were entered in the ballot lottery. In this race, the battle for the top position was between Gubin and Patterson. All of the candidates in this race were entered in the ballot lottery. Murphy, Clancy and Martinez were in the lottery in this race. Only Marino and Meyerson were in the lottery in this race. All the candidates in the Democratic Primary in this race (that is, all listed above) were in the lottery except for Murray. Each of the candidates in this race was involved in the lottery. This race is noteworthy also because it is the only Republican primary contest listed here. In most Cook County judicial races, no Republicans filed. In the 13th Subcircuit, no Democrats filed. Justice Nathaniel Roosevelt Howse, Jr., a candidate for the Johnson Coleman vacancy on the First District of the Illinois Appellate Court, was recently interviewed on Avy Meyers' North Town News Magazine. With Mr. Meyers' permission, the interview is posted below. Justice Mary Jane Theis (who was appointed to the Supreme Court to succeed Justice Fitzgerald) drew the top ballot position. Appellate Court Justice Aurelia Pucinski has the second position, while Appellate Justice Joy Virginia Cunningham wound up in the third position. Attorney Thomas W. Flannigan has the fourth position on the ballot. Former Appellate Court Justice John P. Tully will be the fifth candidate on the ballot. Attorney Tom Courtney would be the last candidate on the ballot in this race. An Illinois attorney since 2000, Courtney is a Chicago resident who practices with the Palos Heights firm of Thomas F. Courtney & Associates. Courtney is making his first bid for judicial office; he was a candidate for 27th Ward Alderman earlier this year. Objections have been filed to both Tully's and Courtney's nominating petitions. Circuit Court Judge James Gerard Riley filed as a Republican in this race. Judge Riley, the Supervising Judge of the Probate Division of the Circuit Court of Cook County, is the only Republican to file for any Cook County judicial vacancy. Judge William Stewart Boyd, a candidate for the O'Brien vacancy on the First District of the Illinois Appellate Court, was recently interviewed on Avy Meyers' North Town News Magazine. With Mr. Meyers' permission, the interview is posted below. Judicial hopefuls don't queue up, shivering in the pre-dawn darkness outside the State Board of Elections on the night before the first day of candidate filing for the camaraderie. Well, not for the camaraderie alone. The goal of all these night owls was to qualify for this year's ballot lottery -- the drawing to determine who would get the coveted first position on the ballot. Everyone in line when the doors officially opened at 8:00am was eligible. The lottery is important because experience shows that the first position is worth v-o-t-e-s.
Judge Jesse G. Reyes, a candidate for the O'Brien vacancy on the First District of the Illinois Appellate Court, was recently interviewed on Avy Meyers' North Town News Magazine. With Mr. Meyers' permission, that interview is posted below. Judge Diann Karen Marsalek, a candidate for the countywide O'Mara Frossard vacancy on the Cook County Circuit Court, was recently interviewed on Avy Meyers' North Town News Magazine. With Mr. Meyers' permission, that interview is posted below. A campaign website has been established for Terrence M. Jordan, candidate for the countywide Stewart vacancy. That's a link to the site in the preceding sentence; a link has been added to the sidebar. Attorney Eileen O'Connor has dropped her bid for the Tully vacancy on the First District of the Illinois Appellate Court. The Illinois State Board of Elections website confirms that O'Connor withdrew from that race late yesterday afternoon. O'Connor's departure from the race leaves appointed Justice Terrence J. Lavin in a head-to-head contest with Circuit Court Judge William D. O'Neal. Today is also the day that ballot order will be determined: All the candidates who were in line when the doors opened at the State Board of Elections on November 28 are eligible for the lottery that will determine who gets the coveted first place on the ballot. I'll report later today or tomorrow on the lottery outcome. There are six candidates for the Stuttley vacancy in Cook County's 2nd Judicial Subcircuit. Objections were filed to each candidate's nominating papers yesterday. There are only two candidates vying for the Jones vacancy in Cook County's 7th Subcircuit, Aicha Marie MacCarthy and Melanie Rose Nuby. Objections were filed to both of their nominating papers yesterday as well. Similarly, in the race for the 7th Subcircuit Terrell vacancy, objections were filed against the nominating papers of both declared candidates, Pamela Reaves-Harris and William G. Gamboney. Objections were filed to candidates' petitions in many, if not most, of the Cook County judicial races, but these races are noteworthy in that each and every candidate's right to appear on the ballot has been challenged. The Objections to candidates' petitions will soon be made public on Cook County Clerk David Orr's website; at this point (at the risk of repeating myself to stress the point) the sufficiency of the challenges can not be weighed. But, having said that, it is noteworthy that two of the candidates slated by the Democratic Party for a countywide vacancy, Michael Forti (a candidate for the Simmons vacancy) and Judge Pamela M. Leeming (a candidate for the Stewart vacancy), are facing challenges. Slated candidates generally don't have to worry about these things. Among the many Objections filed to judicial candidates' petitions, the following (though not a comprehensive list) may be of particular interest. The 6th Subcircuit race has eight candidates remaining after Carlos A. Vazquez withdrew from this race (and also from his bid for the countywide Stralka vacancy). Six of the remaining eight candidates (including Mark V. Ferrante and Beatriz Santiago, the candidate slated by the Democratic Party in this race) have drawn challenges; only Gregory Emmett Ahern, Jr. and Carlos Claudio did not. A number of sitting judges will face ballot challenges in addition to Judge Leeming. In the 7th Subcircuit, Judge Tommy Brewer (Starks vacancy) and Judge Arthur P. Wheatley (Toney vacancy), face ballot access contests, as do Judge Ian Bender (9th Subcircuit - Bender vacancy) and Judge Nicholas Geanopoulos (8th Subcircuit - Durkin Roy vacancy). The Illinois Appellate Court is divided into five districts. The First District of the Illinois Appellate Court is composed entirely of Cook County. Six justices will be elected to the First District in 2012. In five of these races, withdrawals yesterday have set the probable election match-ups. Circuit Court Judge Nathaniel Roosevelt Howse, Jr. was assigned to the Appellate Court by the Supreme Court in 2009. (At any given time, a quarter of the First District's Appellate Court's 24 justices are Circuit Court judges assigned in this manner.) Justice Howse is now seeking his own 10 year term; he was slated for this vacancy by the Cook County Democratic Party. That's a link to Justice Howse's campaign web site in the preceding sentence. Opposing Howse is Circuit Court Judge Kathleen G. Kennedy. Judge Kennedy was first elected to the bench in 1996; she was retained in 2002 and 2008. Judge Kennedy currently serves in the Domestic Relations Division. This is her second bid for election to the Appellate Court; she also ran in 2010. A challenge was filed Monday to Judge Kennedy's petitions. The candidate slated by the Democratic Party for the Gallagher vacancy is Justice P. Scott Neville, Jr.. (That's a link to Justice Howse's campaign website in the preceding sentence.) Like Howse, Neville was elected to the Circuit bench and subsequently assigned by the Illinois Supreme Court to serve on the Appellate Court. Justice Neville joined the Appellate Court in 2004; he'd been appointed to the Circuit Court in 1999, winning election in 2000. Also seeking this vacancy is Associate Judge Marguerite Anne Quinn. (That's a link to Judge Quinn's website in the preceding sentence.) Quinn became an Associate Judge in 2007. According to her campaign website, Judge Quinn is "[d]ually assigned to the Domestic Violence Division and the Second Municipal District" in Skokie. The third candidate in this race is Judge Patrick J. Sherlock. Judge Sherlock was appointed to the Circuit Court by the Illinois Supreme Court; he was thereafter elected in 2008. That's a link to Judge Sherlock's campaign website in the preceding sentence; a link has been added to the sidebar. Five candidates remain in the race for this vacancy, including Associate Judge William Stewart Boyd. (That's a link to Boyd's campaign website in the preceding sentence.) Judge Boyd is currently assigned to the Domestic Relations Division; he became an Associate Judge in 1998. Also filing for this vacancy was Judge Ellen L. Flannigan. First elected to the bench from the 12th Subcircuit in 2006, Judge Flannigan sought elevation to the appellate bench in 2010. She is currently assigned to the Domestic Violence Division. The only non-judge in this race is Clausen Miller partner Don R. Sampen. An Illinois attorney since 1975, Sampen sought election to the Circuit Court (from the 12th Subcircuit) in 2006 and several times in the 1990s. He ran for the Appellate Court in 2010. The other two candidates in this race are Circuit Court Judge Jesse G. Reyes, who sits in the Mortgage Foreclosure/ Mechanics Lien Section of the Chancery Division, and Justice Rodolfo (Rudy) Garcia, a Circuit Court judge assigned to the Appellate Court since 2003. (That's a link to Judge Reyes' campaign website in the preceding sentence.) Garcia was elected to the Circuit Court in 1996; Reyes became an Associate Judge in 1997, winning election as a full circuit judge in 2008. Objections were filed Monday to the nominating petitions of Justice Garcia and Judge Boyd. Justice Maureen Elizabeth Connors was assigned to the Appellate Court by the Supreme Court in October 2010. She was slated for this office by the Democratic Party. She is unopposed. Since no Republican filed to oppose her (no Republicans filed for any Appellate Court or countywide Circuit Court vacancy), Justice Connors is virtually assured of election. Justice Terrence J. Lavin was appointed to the Appellate Court in early 2010. A former president of the Illinois State Bar Association and a well-known and successful plaintiff's personal injury and medical malpractice attorney at the time of his appointment, Lavin was slated for this office by the Cook County Democratic Party. Also filing for this vacancy was attorney Eileen M. O'Connor. O'Connor is employed by the O'Connor Law Group. She has been an Illinois attorney since 2006. This is her first bid for judicial office. The third candidate in this race is Judge William D. O'Neal. Judge O'Neal was first elected to the Circuit Court from the 2nd Subcircuit in 1992. He's run for the Appellate Court before, including bids in 2008 and 2010. 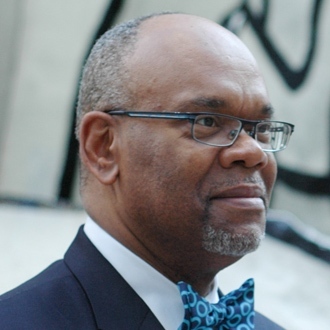 Objections were filed Monday to Judge O'Neal's candidacy. Note: Campaign websites not included in this post will be added to the sidebar when they are discovered or when they are called to my attention. The unexpected passing of Illinois Appellate Court Justice Robert Cahill (on December 4) created another vacancy on the First District of the Appellate Court. The Cook County Democratic Party had pre-slated Associate Judge Mathias W. Delort for any appellate vacancy that should occur. The unexpected death of a respected jurist is an unfortunate circumstance in which to launch a campaign. But the Illinois statutes provide express instructions -- and tight timelines -- when such unhappy events take place. Accordingly, Judge Delort's campaign website went online today. That's a link to the site in the preceding sentence; a link has also been added to the sidebar (you'll need to scroll down the page a little for the list of Appellate Court candidates). By close of business today, Cook County judicial candidates who have filed petitions for more than one vacancy must decide and declare for one vacancy only. At this hour, the Illinois State Board of Elections is reporting that Pamela McLean Meyerson has pulled out of the race for the countywide O'Brien vacancy on the Circuit Court; she will run in the 11th Subcircuit for the Urso vacancy. On the other hand, according to the ISBE, Judge Kevin W. Horan has pulled out of the race for the Riley vacancy in the 4th Subcircuit, deciding to pursue the countywide O'Mara Frossard vacancy instead. Check back later tonight or tomorrow to see who else has withdrawn. And the website at the Illinois State Board of Elections is updating new Objections as they are filed throughout the day. But it is the Cook County Electoral Board that will have the first stab at evaluating the Objections made to the nominating petitions of Cook County judicial candidates. The Cook County Electoral Board is chaired by the Cook County Clerk. The other members are the Clerk of the Circuit Court of Cook County and the Cook County State's Attorney. Eventually -- and soon -- the Electoral Board will be setting hearing on these Objections and, as that happens, I'll try and keep you up to date on how the various Objections fare. Please note: This is a fast-moving process. Early voting starts at the end of February. To accommodate challenges that may be made to the decisions of the Electoral Board, I've been advised that the Board hopes to complete its work on all Objections filed before the end of this month. Per email received from Carolina Y. Sales, a "campaign kickoff event" is planned by supports of Judge Jesse G. Reyes for Wednesday, December 14, from 5:30 to 7:30pm at the District Bar, 170 W. Ontario. Tickets are $20 at the door. According to the email, two hours of open bar and appetizers are planned. Judge Reyes is a candidate for the O'Brien vacancy on the First District Appellate Court. A campaign website has been launched for Beatriz Santiago, candidate for judge in the crowded Sixth Subcircuit Democratic primary. That's a link to the site in the preceding sentence; a link has also been added to the sidebar. Santiago's site states that she is the candidate slated by the Democratic Party in that race. Set your own price fundraiser for Justice Howse? A reception and fundraiser is set in support of Justice Nathaniel Howse's Appellate Court campaign on December 13, from 5:30 to 7:30pm, at the offices of Hoogendoorn & Talbot LLP, 122 South Michigan Avenue, Suite 1220. I was asked to put up a post about the event, but when I looked at the invitation I could find nothing thereon to indicate the base ticket price, much less any suggested sponsorship levels. I have since been advised that there is no set fee.... The organizers hope that persons choosing to attend will choose to be generous. 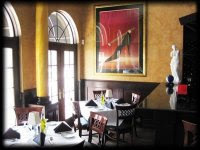 For additional information concerning this event, contact Deborah B. Cole at dcole@hoogendoorntalbot.com. Nathaniel Roosevelt Howse, Jr., currently serving on the Appellate Court pursuant to Supreme Court assignment, is a candidate for the Coleman vacancy. The campaign website for Circuit Court candidate Michael Tully Mullen has now come online. That's a link to the site in the preceding sentence; a link has been added to the sidebar. Mullen is the candidate slated by the Cook County Democratic Party for the countywide Stralka vacancy. Two new candidates filed for the Rochford vacancy in the 12th Subcircuit on December 5, one Democrat and one Republican. The Republican is Daniel T. McCarthy. 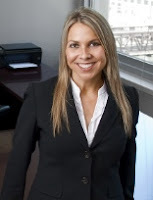 An Illinois attorney since 1988, McCarthy works for the Chicago firm of Iwona Pankowska and Associates, P.C. He would face James Paul Pieczonka in one of only three judicial primary races open to voters taking a Republican ballot in March 2012 (one contest each in the 4th, 12th and 13th Subcircuits). The new Democrat is Judge James C. Murray. Initially appointed to the bench in 2001, Judge Murray ran for the bench without success in 2002 and 2004. He has since been recalled to judicial service, most recently (I believe) in June 2008. Before becoming a judge, Murray was a partner in the firm now known as Katten Muchin Rosenman LLP. Before that, Murray served as an Assistant U.S. Attorney. His late father was a Chicago alderman and later a judge on both the Circuit and Appellate Courts. Candidates filing for judicial vacancies in the 8th Judicial Subcircuit were Thomas N. Osran (for the Chiola vacancy), Ellis B. Levin (for the Cole vacancy), and Judge Nicholas Geanopoulos (for the Durkin Roy vacancy). Osran, an Illinois attorney since 1990, works for the Park Ridge firm of Judge, James & Kujawa LLC. He is a former Chicago Assistant Corporation Counsel. Levin has been an Illinois attorney since 1973 and is a former state legislator. Judge Geanopoulos was appointed by the Supreme Court to a countywide vacancy in 2008. He did not run in the 2010 primary for the vacancy to which he was appointed but was recalled to judicial service when the initial appointment expired. Geanopoulos was a Cook County assistant state's attorney from 1983 to 1992. He went to work for the Vrdolyak Law Group LLC for four years after that, leaving to set up a solo practice in 2006. I did find a campaign website for Judge Geanopoulos, but it is under construction. I'll link it when it goes online. If everyone who's filed remained on the ballot, the race for the Delgado vacancy in the 6th Subcircuit will be the most crowded on the ballot. There are nine candidates in the field to date. The first five candidates to file in this race were profiled in this post. Filing Monday were Kent Delgado, Richard Lugo, Glenn J. Kahn, and Carlos Vazquez. 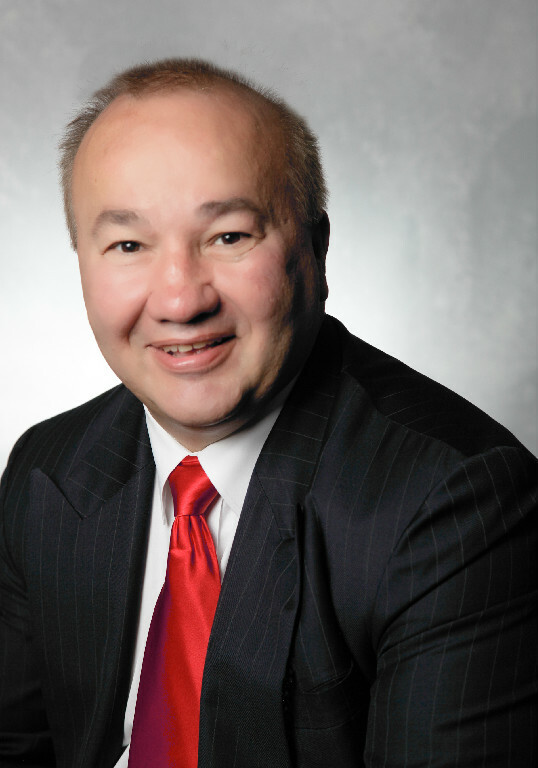 Kent Delgado is a former prosecutor, now practicing with the firm of Delgado & Tiernan, P.C. He has been an Illinois attorney since 1996. Ricardo Lugo is Deputy General Counsel in the Clerk of the Circuit Court's office. That's a link to Lugo's campaign website in the preceding sentence; a link has been added to the sidebar. Lugo has been an Illinois attorney since 2001, but he has, according to his website, been in practice for 20 years. The first decade of his legal career was spent in Milwaukee and Racine, Wisconsin as an Assistant State Public Defender. Glenn J. Kahn is a principal in the personal injury firm of Kipnis & Kahn, Ltd. He's been an Illinois attorney since 1991. The ninth candidate in this race is Carlos Vazquez. There are two attorneys in Illinois named Carlos Vazquez, father and son I presume, who share offices on W. Division. One was licensed in 1986; the other was licensed in 2004. One of them filed to oppose Michael Tully Mullen and Judge Caroline Kate Moreland for the countywide Stralka vacancy; presumably it was the same Carlos Vazquez that filed in this race. Hopefully an FWIW reader will provide information about the correct Mr. Vazquez. A holiday cocktail reception for Maritza Martinez will be held on Tuesday, December 20, from 5:00 to 7:30pm at the Bella Notte, 1374 West Grand Avenue. Tickets are $125 each, but sponsorship levels are available (Patron - $250, Supporter - $500, Sponsor - $1,000). The event is open bar; appetizers will be served. Chicago, Illinois 60603. For additional information, see Martinez's campaign website. Maritza Martinez is a candidate for the O'Brien vacancy in the 11th Subcircuit. There are four vacancies to be filled from the 7th Subcircuit. Aicha Marie MacCarthy and Melanie Rose Nuby are the declared candidates in this race. Here's a video by MacCarthy from the Westside Minister's Coalition in which she describes her credentials. 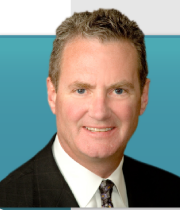 MacCarthy has been an Illinois attorney since 1997. 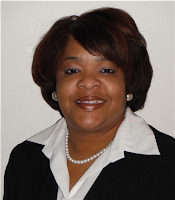 Nuby was a 7th Subcircuit candidate in 2008; she filed for a countywide vacancy in 2010, but withdrew. (She was also a candidate from the 1st Subcircuit in 2004 and from the 7th Subcircuit Subcircuit in 2006.) An Assistant Public Defender, Nuby has been an Illinois attorney since 1994. Judge Tommy Brewer was appointed to this vacancy by the Illinois Supreme Court and filed to keep this seat. RoxAnne L. Rochester filed to oppose Judge Brewer on Monday. Rochester is a staff attorney with the Circuit Court of Cook County. She's been an Illinois attorney since 1989. According to her campaign website (and, yes, that's a link and one has been added to the sidebar as well), before going to work for the Circuit Court, Rochester had her own firm for a decade or so. Before that, according to her campaign website, she worked in a firm focusing "on corporate, securities and commodities law." Rochester is a director of the Women's Bar Association of Illinois. The Illinois Supreme Court appointed Judge Lorna Propes to this vacancy, but the Democratic Party slated Judge Propes for the Pucinski vacancy, making this an effectively open seat. Two candidates have now filed for this vacancy. I'd previously mentioned Pamela Reaves-Harris and linked to her campaign website. Filing Monday to oppose Reaves-Harris was Oak Park criminal defense attorney William G. Gamboney. 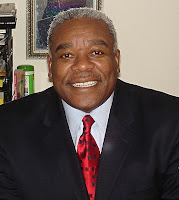 An attorney since 1977, Gamboney's client roster has included former Chicago Police Commander Jon Burge. Gamboney spent 15 years as a Cook County prosecutor before setting up his own practice in 1994. FWIW readers will recall that the Supreme Court appointed Judge Arthur P. Wheatley to this vacancy. His campaign website is linked in the sidebar. As of last weekend, only Mable Taylor, a 2010 candidate for the Illinois legislature, had come forward to challenge Judge Wheatley. Two more candidates filed before the Monday deadline, however, Kimberly D. Lewis and Mark Battaglia. 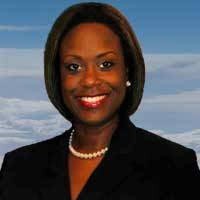 Kimberly D. Lewis has been an Illinois attorney since 2001 and has served as a hearing officer for the City of Chicago. (That's a link to her campaign website in the preceding sentence; a link has also been added to the sidebar.) Her law office is located on South Western Avenue, in the Beverly community. Mark Battaglia, the last candidate in this race, was introduced to FWIW readers in this November 20 post. His campaign website is also linked in the sidebar. Per email received, a "holiday fundraiser" is planned for Wednesday, December 14 from 5:00 to 7:00pm at the Jazz Showcase, 806 South Plymouth Court. Tickets are $250, but there are other "suggested donation levels" ($500, $1,000, $2,500, $5,000). For further information, see this page on Salleé's campaign website. Rhonda Salleé is a candidate for the countywide Stewart vacancy. Two Democrats filed Monday for the "A" vacancy in the 4th Subcircuit; a Republican filed Monday for the 4th Subcircuit Riley vacancy. The new Democrats are Martin D. Reggi and Edward M. Maloney. Marty Reggi Jr. sent me an email to advise about his father's filing; he said his father is a general practitioner who's been an attorney for 31 years. Martin D. Reggi's law office is in Berwyn. Edward M. Maloney also sent me an email. He wrote to tell me that he's been slated by the Democratic Party for this vacancy -- and also to clarify that he's not the same Edward Maloney who filed for countywide Pucinski vacancy. (That's Edward J. Maloney.) He wants to avoid any confusion. 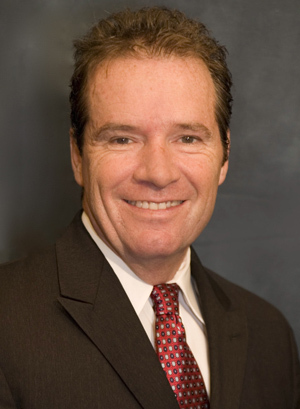 This Edward Maloney, Edward M. Maloney, is a partner in the Skokie firm of Ahern Maloney Moran & Block. Maloney writes that his firm concentrates in "criminal defense but we are also the authors of the IICLE book on DUI defense. Because of that, I have been a speaker at over 100 bar association seminars on traffic-related issues and am the past Chairman of both the CBA and ISBA Traffic law Committees." An Illinois attorney since 1978, Edward M. Maloney does not have a campaign website yet, but he says one will be online soon. Filing Monday for the McSweeney Moore vacancy in the 3rd Subcircuit were James Patrick Doran and Tracey Lynn Payne. James Patrick Doran, an Assistant Illinois Attorney General, was a candidate for the Darcy vacancy in 2010. He has been an Illinois attorney since 1992. Tracey Lynn Payne (pictured at right) is an Assistant Corporation Counsel for the City of Chicago. That's a link to Payne's campaign website in the preceding sentence; a link has been added to the sidebar as well. Payne has been a licensed Illinois attorney since 1990. Many judicial candidates were screened by the Chicago Bar Association and the 11 members of the Alliance of Bar Associations for Judicial Screening -- typically because they've run for office before or applied for associate judge. But not all judicial candidates have been screened. Are you one of these? Some people believe (and understandably so) that judicial candidates who refuse to submit their credentials for review by their peers are thumbing their noses, not just at their colleagues who would appear before them in court, but at the public who would pay their salaries. Let's put it this way: Presumably, you, the judicial candidate, would not seek the office unless you felt you were able to do the job and do it well. If a bar association disagrees with your personal assessment because of some petty or private reason or bias, you have a forum here to set the record straight. And while bar association recommendations are not endorsements, once you have them, they are something you can use to persuade the voting public that your belief in your ability is grounded in fact and reality. Do yourself, and the public a favor. I will concede that filling out the forms and appearing for an interview by your peers is stressful, particularly the first time you do it. And sentencing someone to jail wouldn't be? Deciding that the hospital's conduct did not, as a matter of law, cause a baby's deformities wouldn't be stressful? The Alliance has been working to help Cook County voters make educated choices about judicial candidates since the 1990s. Early voting for the 2012 Primary begins on February 27. The Alliance needs time to screen candidates, to investigate their credentials, to schedule interviews, and for each of the Alliance members to deliberate thereafter and make their independent evaluations. The sooner the public learns the results of these investigations, the more helpful these recommendations can be for the general public. If you, dear reader, are a judicial candidate who has not been screened, stop reading immediately and email Joyce Williams at jwilliams@isba.org. FWIW readers know that former 6th Ward Alderman Freddrenna M. Lyle was just appointed to the Stuttley vacancy in Cook County's 2nd Judicial Subcircuit and that she will not try and keep this seat in the upcoming primary. You've also read here about Carl B. Boyd (at left) who is seeking this vacancy (Boyd sought the countywide Hayes vacancy in the 2010 primary and the "A" vacancy in the 2nd Subcircuit in 2006) as is Assistant Public Defender Toya T. Harvey. Another Assistant Public Defender, Arthur Wesley "Wes" Willis, filed for this vacancy on December 2. The field doubled on Monday, when petitions were filed by Alma Learetta Tyson, Chester Slaughter, and Paul O. Otubusin. Tyson, an Illinois attorney since 1992, has her law office in Beverly, where she focuses in family law matters, including divorce, real estate and wills and probate. Slaughter, a veteran criminal defense attorney (he's been an Illinois attorney since 1971), served a term as president of the Cook County Bar Association in the mid-80's. Slaughter was defense counsel in the "Silver Shovel" corruption case against former Ald. Jesse Evans. Slaughter and newly appointed Judge Lyle had their law offices at the same location. Otubusin has a Loop law office; he's been licensed in Illinois since 1990. I've so far been unable to find campaign websites for either Tyson, Slaughter or Otubusin. FWIW readers will have noted a number of posts here about judicial candidate fundraisers. Judicial campaigns ask supporters to buy tickets for $50 or $100 or $125 -- but campaigns are always willing to take more, if possible (subject to the campaign disclosure laws, of course). So most fundraisers offer sponsorship levels, just in case enthusiastic supporters have money to spare. Some sponsorship levels are fairly bland (silver - gold - platinum); others are more creative (stalwart - hero - champion). But creativity has its limits, as Michael W. Hoskins explains in "Commission slaps judge over fundraising solicitation," an article that appeared November 30 on IBJ.com, the website of the Indianapolis Business Journal. Sometimes bland is better. It's certainly safer, particularly in judicial campaigns. Only one new candidate for the Appellate Court filed since the post here Sunday. Judge William D. O'Neal, who was first elected to the Circuit Court from the 2nd Subcircuit in 1992, filed for the Tully vacancy Monday. He's run for the Appellate Court before, including bids in 2008 and 2010. Filing Monday to oppose Michael A. Forti and Jessica A. O'Brien for the countywide Simmons vacancy was James A. Wright. That's a link to Wright's campaign website in the preceding sentence; a link has also been added to the sidebar. An Illinois attorney since 1989, Wright worked as a CPA before attending law school. He has served as Inspector General of the Illinois Tollway and later as Executive Inspector General of the State of Illinois. A sixth candidate filed for the countywide Ward vacancy on Monday. Brian J. Stephenson, an Illinois attorney since 1988, appears to be making his first bid for judicial office, but he was the Democratic nominee for the 41st District of the Illinois State House in 2010. There are now eight candidates vying for the countywide Stewart vacancy. I mentioned the four initial filers in this post and two subsequent filers in this post. Assistant Public Defender Debra A. Seaton joined the fray on Monday. This will be Seaton's second bid for judicial office; she also sought a countywide vacancy in 1998. Also filing Monday was Steve Demitro. That's a link to Demitro's campaign website; a link has been added to the sidebar. 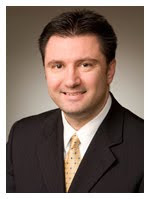 Demitro has been an Illinois attorney since 2000. There are two attorneys in Illinois named Carlos Vazquez, father and son I presume, who share offices on W. Division. One was licensed in 1986; the other was licensed in 2004. One of them filed to oppose Michael Tully Mullen and Judge Caroline Kate Moreland for the countywide Stralka vacancy. Hopefully an FWIW reader will provide information about this new candidate. Finally, there are two new candidates for the O'Mara Frossard vacancy. 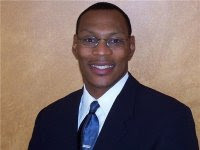 Rodrick F. Wimberly has been an Illinois attorney since 1995. He has his own firm, Rodrick F. Wimberly & Associates. Wimberly may be the only ordained minister running for judge this year. According to his campaign website, Wimberly serves as a minister at the Apostolic Church of God and as "co-facilitator of the Apostolic Church of God's Legal Ministry." The other new candidate for the O'Mara Frossard vacancy is Gwendolyn D. Bayless. According to ARDC, Bayless has been an Illinois attorney since 1992 and is self-employed. There were 11 candidates qualifying for the ballot and vying for a single vacancy in the 11th Subcircuit in the 2010 Democratic primary. This year, there are two vacancies in the 11th Subcircuit -- and only eight candidates between them, all filing as Democrats. Judge Michael R. Clancy was appointed to this vacancy by the Supreme Court in May of this year. He filed to keep his seat. Three candidates have filed to take it away. They are Maritza Martinez, Maureen A. Murphy, and Roger Zamparo. Maritza Martinez was one of the many 11th Subcircuit candidates in 2010. Both Martinez and Clancy have campaign websites linked from the sidebar. Maureen A. Murphy is Senior Counsel for the Archdiocese of Chicago. An Illinois attorney since 1984, she has been with the Archdiocese since 1993. Before joining the Cardinal's legal staff, Murphy was in private practice for seven years and spent two years as an attorney for the City of Chicago. Roger Zamparo filed for this vacancy yesterday. Zamparo tried to qualify for the ballot as an independent candidate in the 11th Subcircuit in 2010, but a challenge to his candidacy was sustained. Zamparo, an Illinois attorney since 1979, has his law office in Rolling Meadows. He had a campaign website in 2010, but it is no longer active; I've been so far unable to find a new site for Zamparo for 2012. The Supreme Court did not fill this vacancy by appointment. Four candidates have filed. Pamela Meyerson was an 11th Subcircuit candidate in 2010. This year, in addition to filing for the Urso vacancy, Meyerson has filed for the countywide O'Brien vacancy. She'll have to decide soon which post she will seek. Lisa Ann Marino also filed for this vacancy; she, too, ran in the 11th Subcircuit in 2010. 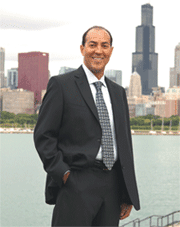 An Illinois attorney since 1988, Marino maintains a law office near Belmont and Harlem in Chicago. She is a former president of the Justinian Society of Lawyers. Deborah J. Fortier, who filed for this vacancy yesterday, is a former president of the Cook County Bar Association (2006). An Illinois attorney since 1977, Fortier works as Special Counsel at Cook County Health and Hospital System. The fourth candidate in this race is Oak Park attorney Jennifer A. Blanc. Licensed in Illinois since 1999, Blanc's office website states that her practice is in real estate, bankruptcy, probate, and estate planning. According to her office website, Blanc has also been active in the Cook County Bar Association. I've been unable to locate campaign websites for Marino, Fortier or Blanc. Meyerson's campaign website is linked from the sidebar. There were a lot of new judicial hopefuls stepping forward today as the filing period ended. The new filers seem to have concentrated on particular races. We'll get to these in posts in the next couple of days. Note that all of these individuals are Democrats -- with one exception. Martin C. Kelley, like all candidates in the northwest suburban 13th Subcircuit, filed as a Republican. On the other hand, no Republican filed filed for any of the 11 countywide Circuit Court vacancies or any of the five vacancies on the First District of the Appellate Court. I will leave it to others to explain what this means for the health of the two party system in Cook County. What it also means is voters who fail to vote in the Democratic Party primary on March 20, 2012 will be almost completely disenfranchised; they will have no say at all in who serves as judge in Cook County. People who 'never vote in primaries' can expect, in November, to have a choice between Democratic and Republican candidates only in the 4th and 12th Subcircuits. A "holiday fundraiser" has been announced for Judge William Stewart Boyd, candidate for the O'Brien vacancy on the Appellate Court for Thursday, December 8, 2011, from 5:00-8:00pm at the Standard Club (in the Living Room), 320 South Plymouth Court. Tickets for the event cost $125 but sponsorship levels are available (Advocate - $250, Sponsor - $1,000, Champion - $2,500). For further information, email info@voteboydforjudge.com. Thanks to Michael Strom, who sent me the link to the campaign website of Justice P. Scott Neville, Jr. That's a link to the site in the preceding sentence. A link has been added to the sidebar. Justice Neville is a candidate for the Gallagher vacancy on the First District of the Appellate Court. Mable Taylor, an Illinois attorney since 1994, filed for the Toney vacancy in the 7th Subcircuit Friday, where she will oppose Judge Arthur P. Wheatley. She was a candidate for the Illinois House in 2010. Assistant Public Defender Arthur Wesley "Wes" Willis filed Friday for the Stuttley vacancy in the 2nd Subcircuit. He has been licensed in Illinois since 1994. Two new candidates filed for the countywide Stewart vacancy late last week. One of these, Rhonda Salleé, is familiar to FWIW readers. She filed Friday; her campaign website is linked in the sidebar. The other new candidate for the Stewart vacancy is Sammy W. Lacey Jr., a retired Chicago Police sergeant who has been licensed as an Illinois attorney since 2001. The filing period for judicial hopefuls closes tomorrow. "A" vacancy candidate Julie Line Bailey now has a campaign website. That's a link to the site in the preceding sentence; a link has also been added to the sidebar. There are two new candidates for this vacancy since Tuesday's post about this race, Linda A. Walls and James J. Ryan. Walls, who filed Wednesday, is an Assistant State's Attorney. Ryan filed Friday; he lives and practices in LaGrange Park. An Illinois attorney since 1984, I believe Ryan was once affiliated with the Chicago firm of Schiff, Gorman & Krkljes. A Republican also filed for the 4th Subcircuit "A" vacancy on Wednesday. Christine Cook, an Illinois attorney since 1990, is an Assistant State's Attorney. The Illinois Appellate Court is divided into five districts. The First District of the Illinois Appellate Court is composed entirely of Cook County. Five justices will be elected to the First District in 2012. Herewith a look at the men and women vying for these seats. Opposing Howse are two Circuit Court Judges, Kathleen G. Kennedy and Patrick J. Sherlock. Judge Kennedy was first elected to the bench in 1996; she was retained in 2002 and 2008. Judge Kennedy currently serves in the Domestic Relations Division. This is her second bid for election to the Appellate Court; she also ran in 2010. I have so far been unable to locate a campaign website for Judge Kennedy. 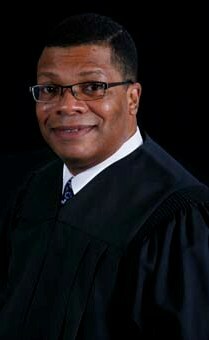 Judge Patrick J. Sherlock was appointed to the Circuit Court by the Illinois Supreme Court; he was thereafter elected in 2008. That's a link to Judge Sherlock's campaign website in the preceding sentence; a link has been added to the sidebar. Judge Sherlock also filed for this vacancy. As noted previously here on FWIW, the law changed this year for Circuit Court candidates. Pursuant to current §7-12(9) of the Election Code, 10 ILCS 5/7-12(9), Circuit Court candidates are no longer able to file for more than one countywide and/or one subcircuit vacancy. Appellate Court candidates can still file for multiple vacancies and then decide which races to abandon at a later date. The slated candidate for the Gallagher vacancy is Justice P. Scott Neville, Jr. Like Howse, Neville was elected to the Circuit bench and subsequently assigned by the Illinois Supreme Court to serve on the Appellate Court. Justice Neville joined the Appellate Court in 2004; he'd been appointed to the Circuit Court in 1999, winning election in 2000. I've not been able to find a campaign website for Justice Neville. Also filing for this vacancy were attorney Tom Courtney and Associate Judge Marguerite Anne Quinn. That's a link to Judge Quinn's website in the preceding sentence; a link has also been added to the sidebar. Quinn became an Associate Judge in 2007. According to her campaign website, Judge Quinn is "[d]ually assigned to the Domestic Violence Division and the Second Municipal District" in Skokie. Courtney, an Illinois attorney since 2000, is a Chicago resident who practices with the Palos Heights firm of Thomas F. Courtney & Associates. Courtney is making his first bid for judicial office; he was a candidate for 27th Ward Alderman earlier this year. Seven candidates filed for this vacancy including (again) Judges Sherlock and Quinn. Associate Judge William Stewart Boyd, pictured at left, has also filed for this vacancy. That's a link to Boyd's campaign website in the preceding sentence; a link has also been added to the sidebar. Judge Boyd is currently assigned to the Domestic Relations Division; he became an Associate Judge in 1998. The only non-judge in the race for the O'Brien vacancy is Clausen Miller partner Don R. Sampen. An Illinois attorney since 1975, Sampen sought election to the Circuit Court (from the 12th Subcircuit) in 2006 and several times in the 1990s. He ran for the Appellate Court in 2010. The other two candidates in this race are Circuit Court Judge Jesse G. Reyes, who sits in the Mortgage Foreclosure/ Mechanics Lien Section of the Chancery Division, and Justice Rodolfo (Rudy) Garcia, a Circuit Court judge assigned to the Appellate Court since 2003. Garcia was elected to the Circuit Court in 1996; Reyes became an Associate Judge in 1997, winning election as a full circuit judge in 2008. Garcia was passed over for slating in this race in favor of Reyes. The resulting controversy caught the attention of the Chicago Sun-Times (see, for example, "Judge: Berrios shunned me for ruling against his daughter," by Abdon Pallasch, Nov. 22, 2011, 2011 WLNR 24456132). Justice Maureen Elizabeth Connors was assigned to the Appellate Court by the Supreme Court in October 2010. She was slated for this office by the Democratic Party. She is presently unopposed. Also filing for this vacancy are Judge Ellen L. Flannigan and attorney Eileen M. O'Connor (pictured at right). O'Connor is employed by the O'Connor Law Group. She has been an Illinois attorney since 2006. This is her first bid for judicial office.